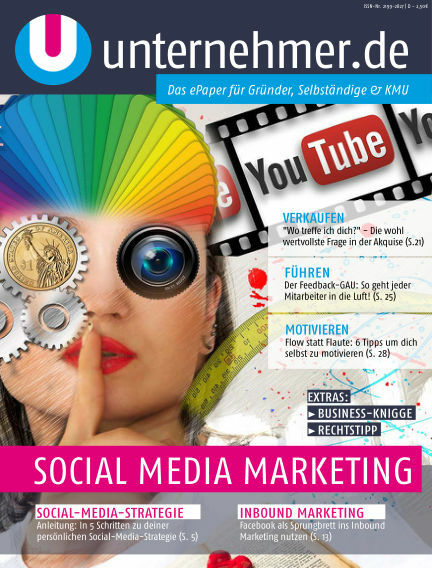 - 3 Buchtipps zum Schwerpunkt "Social Media"
- Business-Knigge: Erst überlegen, dann posten! - Rechtstipp: Facebook-Gewinnspiele - Was darf ich, was darf ich nicht? With Readly you can read unternehmer.de ePaper (issue 8/2017) and thousands of other magazines on your tablet and smartphone. Get access to all with just one subscription. New releases and back issues – all included.